Now that we’ve had nearly two months to get used to the World of Warcraft: Legion expansion, Blizzard heaps on a massive helping of new dungeon, raid and quest content in Update 7.1: Return to Karazhan. Here’s all the new stuff players can do today. The centerpiece of the Return to Karazhan update is the new five-player, eight boss mythic dungeon, aptly called A Return to Karazhan. It’s basically a remix of the original ten person raid that launched during The Burning Crusade era. Players will encounter a mix of brand new boss fights and older bosses with new tricks. 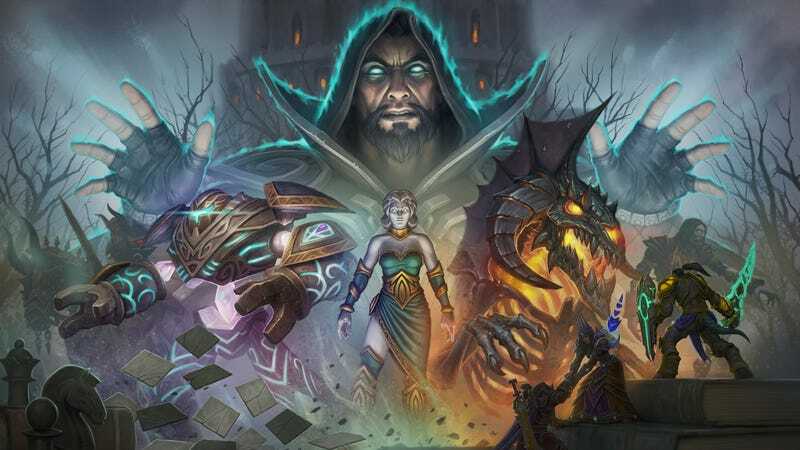 A quick check online shows plenty of players queing up for mythic Halls of Valor in order to get attuned for the new dungeon, so geared players should have no problems getting there. Raiding players can undergo The Trial of Valor on November 8. It’s a three-boss mini-raid that bridges the gap between the Emerald Nightmare and upcoming Nighthold raid. Also leading up to the opening of Nighthold are a new series of quests in the high level Suramar zone. New quests will unlock weekly for nine weeks, with a special Arcanist’s Manasaber mount dangled in players’ faces as motivation. Players will also unlock new Helarjar world quests, aiding the battle against Helya’s encroachment on the mortal realms. All of this plus new pets (including tamable mechanical spiders for hunters), cosmetic pet items and PVP tweaks. Check out the handy survival guide Blizzard threw together outlining the shiny new things to do in World of Warcraft update 7.1, and be sure to read the patch notes in their entirety for effective arguing in trade chat. See you in game!